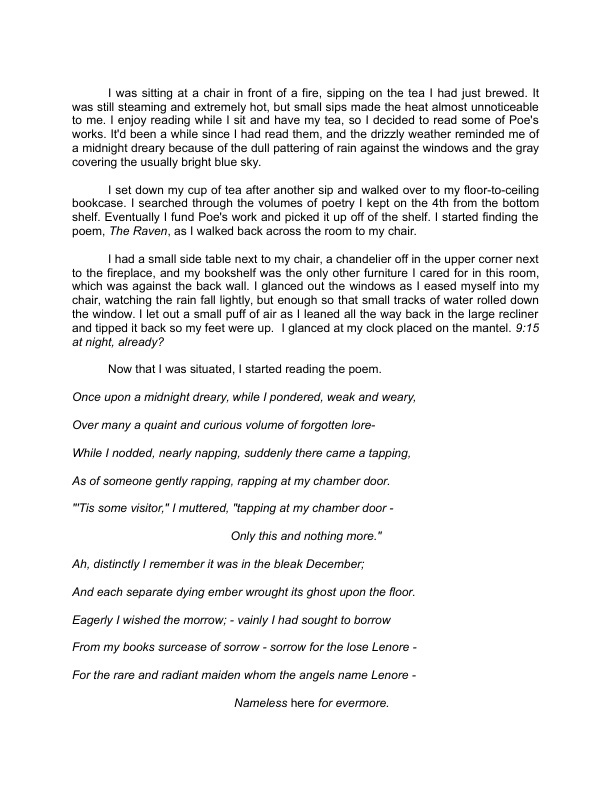 Short story based on Edgar Allen Poe's "The Raven." It includes the poem within the story in italics. © 2019 • All content within this entry is strictly the property of Maxine Leuschen, and is not for public use without permission.